Sometimes it is hard to maintain relationships with your friends and long-distance relatives if between you are hundreds of miles. Every Skype or Facetime conversation becomes less interesting. All you need is to add fun to the calls. Games are your rescue! You can easily restore relationships with your cousins, classmates and even make a new friendship. You can be connected with children during work-related travel. 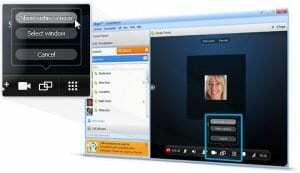 Change your boring Facetime and Skype calls. New technologies let you have fun with your friend or date remotely. Just charge your phone and go ahead. 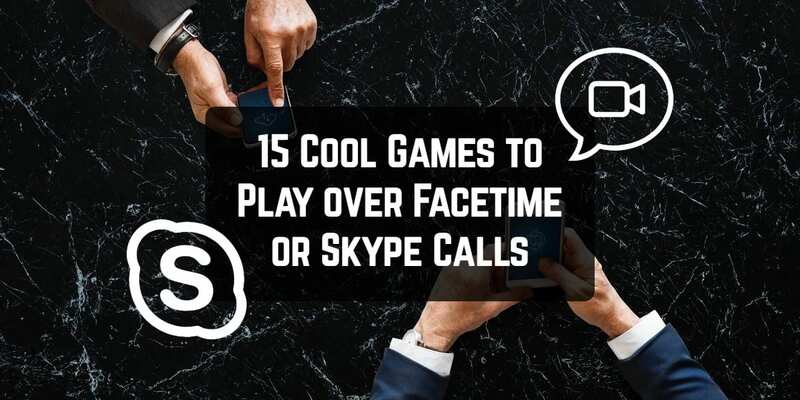 It is the list of games to play over Facetime and Skype Calls. Look through it and you will find your favorite games. This great solution helps you to be in touch with people who are dear to you. Origami is an ancient paper craft, that was created in Japanese more than 1,000 years ago. For some people paper folding is the time for entertainment, for others, it is time to relax and connect with the soul. This requires only a piece of paper and your imagination or some instructions. Many people think that origami is one of the most interesting creative pastimes. Speak with your friends while crafting origami with video calls. You can do it step by step or hold an origami competition over Facetime or Skype calls. Just choose the origami instruction, for example, paper swan and note the time. You can compete on time or on quality. Compare the result of your creation with friends. 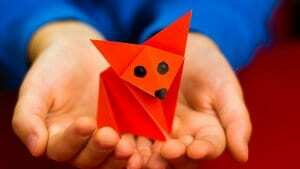 Origami will keep your brain healthy as you age and develop hand-eye coordination. With this kind of craft, every relationship becomes stronger. 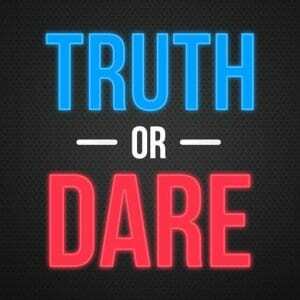 Truth or dare is one of the classic games. The rules are easy. You are given the choice between answering a question or do “dare”. If you choose “truth” you must answer the question truthfully not hiding anything. If you choose “dare” you must perform a task. It is a fun game to play over Facetime and Skype calls. You will learn more about your friends or relatives. But don’t make others feel uncomfortable. Before the game decide what questions will be off-limits and what kind of dare could be asked. Don’t ask crazy dares. Just have fun. This game is popular among adults and children. Every long-distance relationship will be fun and pleasant! 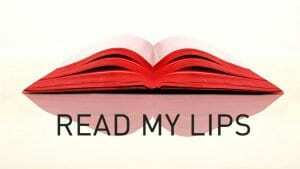 Read my Lips is a funny competition for people who have a long-distance relationship. We perceive sound information by ears. This is a proven fact, but we can argue with it. The words can be seen. Don’t you believe? You can check your abilities playing Read my Lips. All you need is a phone and Facetime or Skype. The first player turns off the mike of his or her phone and says a word. Another player tries to understand it. Then, the roles are changing. You can count guessed word and at the end of the game name the winner. You can also compete in time. Note the time and try to guess as many words as possible. This game is super entertaining to play via Facetime or Skype. You and your friends will be full of happiness. Do you like to tell the stories? Do you like to be heard? Then next game is exactly for you! Storyteller Pass-Along is a fantastic game for the whole family to play over Facetime or Skype. Everyone knows fairy tales and stories from a childhood filled with magic and kindness. Then why don’t you create a new one with your family? The rules are easy. Watch the time for 1 minute while your friend tells the story. After 1 minute another person starts to continue the story and so on. Do it until the story ends. You will strengthen friendship. Storyteller Pass-Along is useful for kids. They will improve their listening skills and develop their imagination power! Are afraid of singing in public? If it is true, then sing in rotation with your friends via Facetime and Skype. The power of music is incredible. It helps you to maintain your relationship. 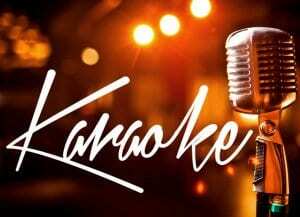 Karaoke originated in Japan and now it is one of the most wonderful ways to spend your time with friends. To hold a competition you need a phone and instrumental versions of songs you want to sing. To estimate honestly you need at least 3 players. The first one sings the others estimates. Then count every person’s points and define the winner. Be polite. If you hear someone sing off the key, don’t interrupt or grumble, because karaoke has lots of benefits. It can stimulate our brain and it helps us to show feeling and emotions. This kind of game can be played with anyone. You need 2 or more people and it requires no set-up. Just turn on your imagination for interesting questions. If you don’t remember the rules, we will remind you. – If you are asked, choose one scenario. The choice is yours! This game will let you know each other better. Have fun playing via Facetime or Skype. Are you 13 or maybe 29. There is no age for puzzles. You can play with puzzles even via Facetime or Skype! Don’t you believe? Then, read next sentences. What are the puzzles? It is a problem game, that needs a lot of patience. The players should put pieces together in a logical way to create a full picture. You can buy 2 identical puzzles with your friend or you can play online. Next time you call your friend via Facetime or Skype, make sure you and your companion have these puzzles. Solve puzzles while you are talking. You can help each other or be a competitor. You won’t notice how time passes. Puzzles have a lot of benefits for you. They develop your cognitive, physical and emotional skills. 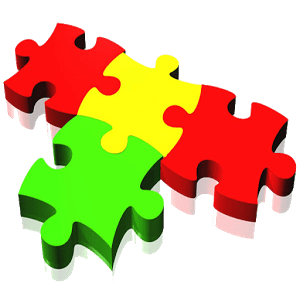 Puzzles are the most suitable way to relax at the end of the day with your friends on Skype or Facetime. It is an old game that knows every person in the world. It is suitable for all ages. No matter you are librarian or programmer. The goal of this game is to explain the word using gestures alone. The main rule is to remain silent. This game requires 2 or more players. You can also play 2 teams. Prepare some phrases or words to guess it. Connect with your friends via Facetime or Skype. Play until the phrases and words are over. Look through common gestures on the Internet to play better. You can be in different parts of the world but this game can help you to maintain your relationship. If you are afraid of blurting out the word, press the mute button and you’ll be saved. 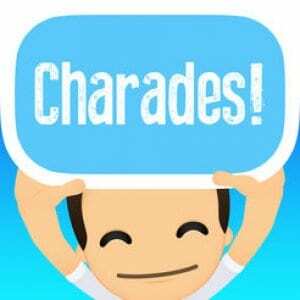 Charades has stood the test of generations. Don’t underestimate this game. It is great for a laugh. Do you want to know your friend better? I Have Never Ever, playing over Facetime or Skype, will help you with it. It is a popular game for multiplayer. You need to declare things that you have never ever done. The most fitting number of player is 5. Of course, you can change it. There are 2 versions of this game. The first one is a classic. Sit in a circle that everybody sees your hands. You have 10 fingers. They are your chances. One person says things that he or she have never done. Others should listen. If you have done it then put down 1 finger. Continue to play in a circle. The person who has more fingers at the end of the game is a winner. The second one requires alcohol. This version of the game for persons of legal drinking age. The rule is the same, except for one moment. Players should drink alcohol instead of bending their fingers. The one whose drink lasts longer is the winner. Even this version will be good played via Facetime or Skype. Last letter is a game familiar to many people since childhood. It is easy and useful for our brain. You can play it over Facetime or Skype. More people – more fun! Sometimes it is really tiresome to speak with your relative or friend in a long-distance relationship. Last letter helps you to correct the situation. This game will inspire creativity, laughter and quick thinking. – Choose the category of words. It can be plants, animals or all words. – Choose the first word. The first person pronounces it. 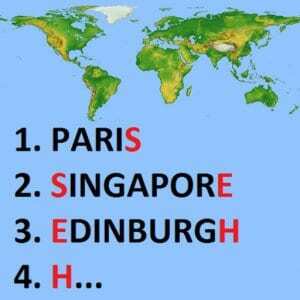 – The second person must begin the name of another word using the last letter of the first word. And so on. You cannot repeat words. This game is a good warm-up for our brains because you need to think fast and remember every word that has been pronounced. Do you want to know your friend better? Do you think you know all about your friend? Let’s check it out. It is one of the most popular “ice-breaker” games. Just connect with your relatives or friends via Facetime or Skype and start to learn new facts about them. The rule is super easy. 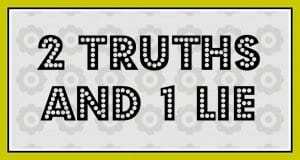 One person says 3 facts about themselves. One of them is a lie. Try to pronounce them in the same voice, so other people can not guess what is a lie. Other people discuss these facts and choose a lie. Then the next person goes. You can play this game all day long because it is funny and interesting. You’ll often find that some people’s truths are more unbelievable than their lie. What if today I decided that ANYTHING was possible? If every Skype or Facetime conversation is boring then add some silly things! What if? is an enjoyable game to play with friends. The main feature of this game is that there are no losers or winners. It works well with teens or adults. This phrase can be serious or ridiculous. It all depends on your imagination. – Other people try to come up with an end of the sentence. The best thing about the “What If…” game is that you can adapt it to your own life situation. It is perfect for online conversation as well as for just passing time. 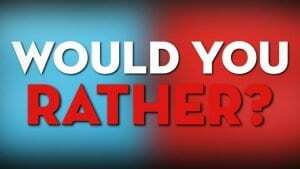 How about YOU play a little game of What if? with your friends via Skype or Facetime?! The distance is a bad thing that can weaken relationships. Sometimes you want to go to the cinema with your friends, but the distance separates you. Facetime and Skype will help you to solve this problem! You can make a movie-night without leaving your home. Just connect with your friend via Facetime or Skype. Choose the film. It can be everything you like. And the last step is to turn on the movie simultaneously. Enjoy the movie with your friends all over the world! There is another way to do it. Add your friend on Skype and start a movie group. Then share the movie from your screen. That’s all. It is easy and free! You can discuss the film while watching it. You can not imagine your life without chess? It is available on Skype! If you can’t play chess it is never too late to learn how to play chess! Chess is a 2 player strategy board game played on a chessboard. You can find out rules on the Internet. After learning the basic rules and playing practice games, you’ll be able to challenge other players and win! First, you should go to the Tools menu then “select apps” and “get apps”. You will be sent to the Skype website. Download FireAcr Arcade, install it and go it. You’ll see the program with chess and some more games. 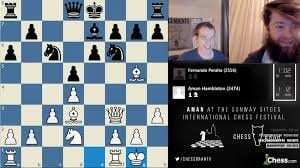 You can play and test your chess knowledge against your friends on Skype. Are you fond of quiz games? Then 21 Questions is exactly for you! 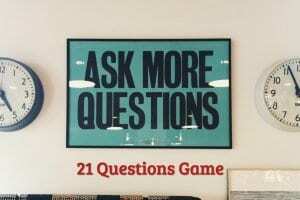 21 Questions are easy to play over Facetime or Skype. Ask or answer the questions. It is easy! There is no limit to the kind of questions you can ask. This game lets you know your friends better. There are many variations of this game. You need to ask any 21 questions and your friends should answer it truthfully. Then you change the roles. Sit in a circle or face to face. Players ask questions one by one. Sometimes this game can quietly become talk. Don’t worry because it is the whole point of this game!